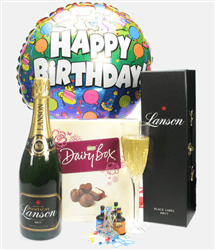 A birthday is a birthday and shouldn't be left to chance. 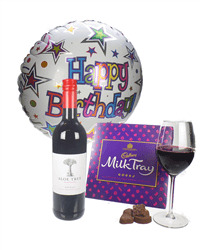 Send this great gift to someone to be sure they will enjoy their special day. 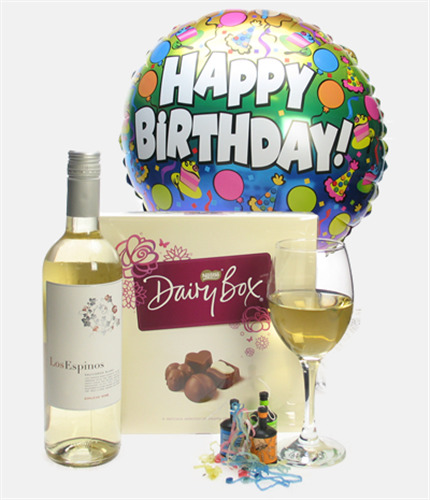 This gift contains a bottle of Sauvignon Blanc wine from Chile, a box of some great milk chocolates (200g) and an inflated happy birthday balloon which pops out the box.